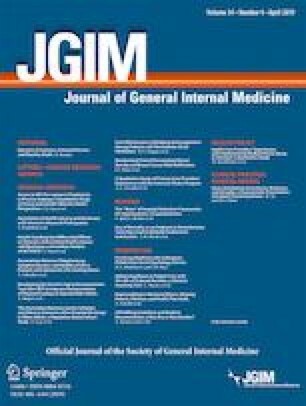 We read with great pleasure Price et al.’s article, “Comparing Quality of Care in Veterans Affairs (VA) and Non-Veterans Affairs Settings.”1 In their study, the authors found that while the VA system performed similarly or better than non-VA systems in most quality measures, VA hospitals performed significantly worse in readmissions criteria. These findings differ from recent studies that showed equivalent readmissions rates between VA and non-VA hospitals.2 The authors suggest these variances in outcomes may be due to differences in their propensity score matching of VA to non-VA hospitals. While a valid reflection, we propose that these readmission rate differences may be due to social characteristics commonly not captured in readmissions models. Recognizing that the VA’s obligations extend beyond many health care systems’ boundaries, former VA director David Shulkin once commented, “Few other systems…provide comprehensive medical, behavioral, and social services to a defined population of patients, establishing lifelong relationships with them.”5 As practicing clinicians within the VA, we believe that this broad, extensive commitment to Veterans’ medical and social needs may be a factor leading to VA providers to admit patients more frequently than their non-VA counterparts. Altogether, the VA’s substantial commitments to both the medical and social wellbeing of its patients undoubtedly leads to differences in care between VA and non-VA hospitals. But understanding that these two systems care for very different populations, under circumstances that cannot always be captured quantitatively, will hopefully allow for a fairer comparison when it comes to metrics commonly driven by social risk factors and institutional goal differences. Eibner C, Krull H, Brown KM, et al. Current and Projected Characteristics and Unique Health Care Needs of the Patient Population Served by the Department of Veterans Affairs. Rand Health Q. 2016;5(4). https://www.ncbi.nlm.nih.gov/pmc/articles/PMC5158228/. Accessed May 6, 2018.